I’ve been wanting to make some oatmeal cookies for a while now; about a month ago I tried my hand at some banana oatmeal cookies with chocolate chips and coconut flakes, but they turned out a bit boring to be quite honest; I suspect one of the reasons was that I used instant oats, which resulted in a very ‘meh’ consistency. 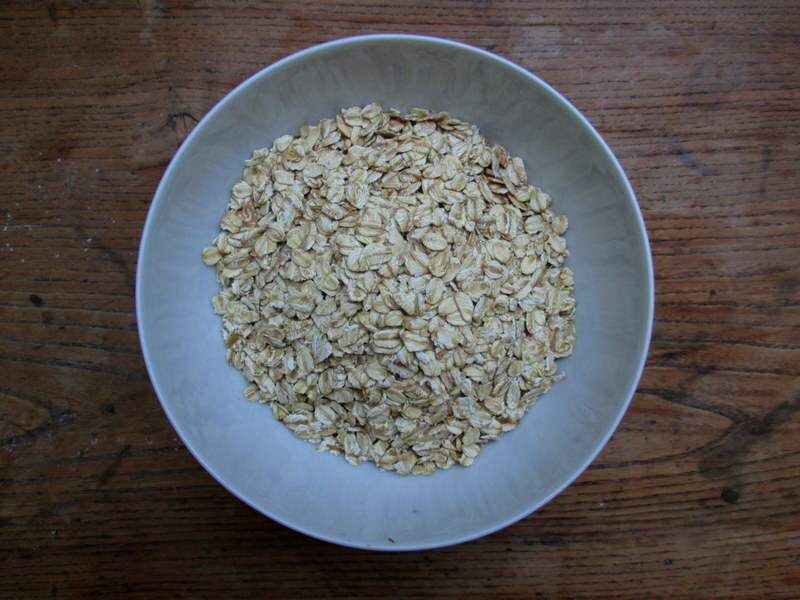 Well I finally remembered to buy old fashioned oats yesterday, and so today I’m trying these out! 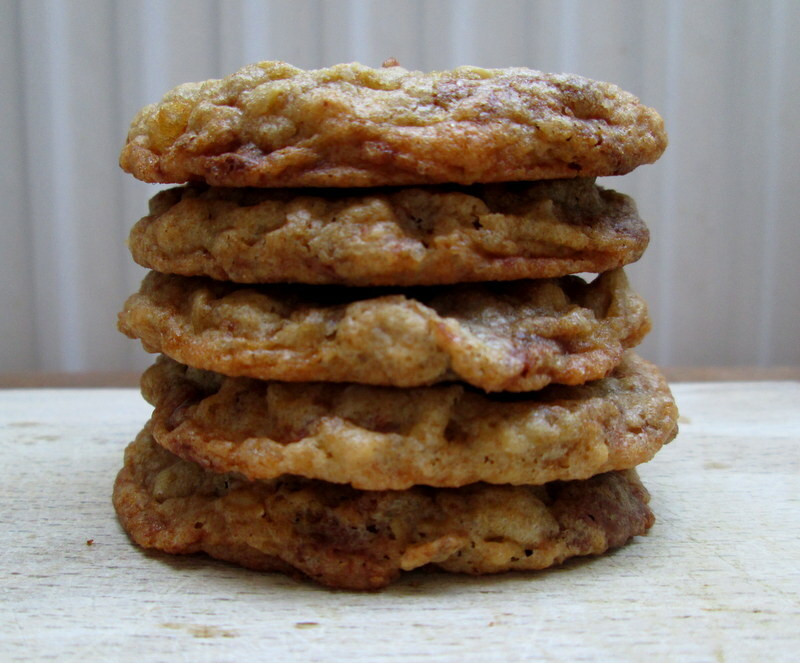 I heard about the recipe on an episode of Spilled Milk (highly recommended, in case you haven’t already heard of it), where Matthew mentioned these chewy, perfect oatmeal cookies. While I guess everyone’s idea of a perfect cookie is a relative concept, I gotta say these are very yummy. 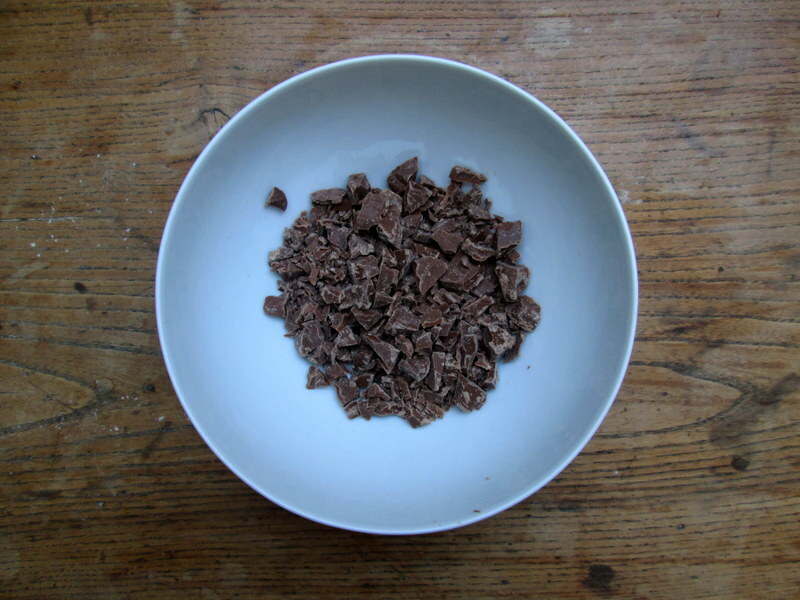 They are, in my opinion, the right amount of chewy to crunchy, and very easy to make, always a bonus 🙂 I made them smaller than the original recipe calls for, and also reduced the chocolate content by three quarters – not a huge fan of milk chocolate, nor of ‘too much’ chocolate in cookies (and milk chocolate can get a bit sickly sweet – but this is all a matter of personal preference! 😉 ) – but I still found it to be a more than adequate amount of chocolate 🙂 These taste a bit like the oatmeal cookies you can get in the food section at IKEA, except CHEWY! What’s not to like. 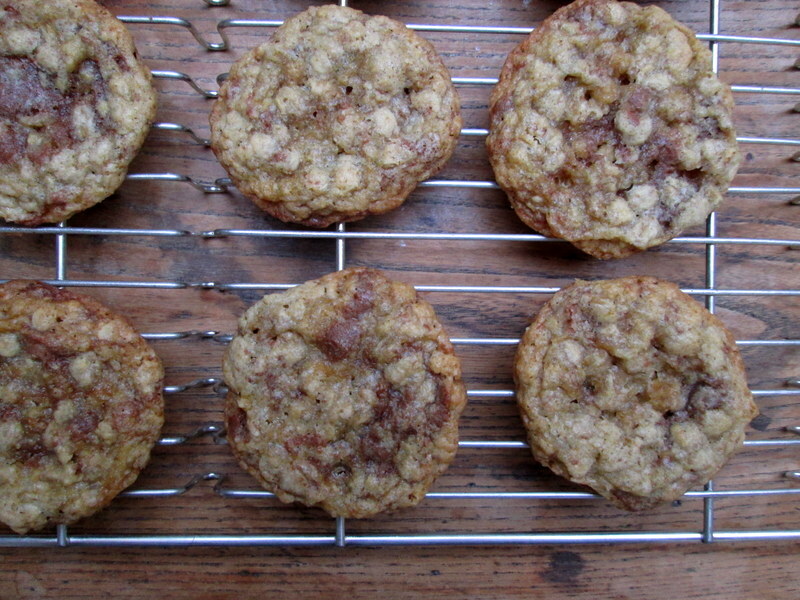 And even though I’m not a huge fan of milk chocolate, it does suit oatmeal cookies. I’m not sure about using dark chocolate in these – although I might have to try it out at some point, just to see. Preheat your oven to 180˚C / 350˚F. 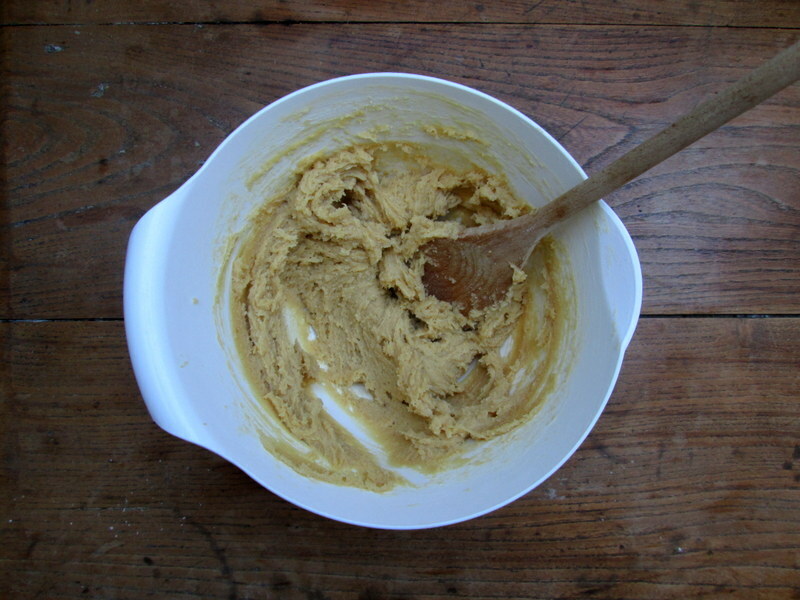 Cream together the butter and sugars (using an electric beater, if you like, but I just use a wooden spoon). Whisk in the egg and the vanilla. Mix the flour, baking powder, baking soda and salt; add this to the butter mixture and stir with a wooden spoon or silicone spatula until combined. 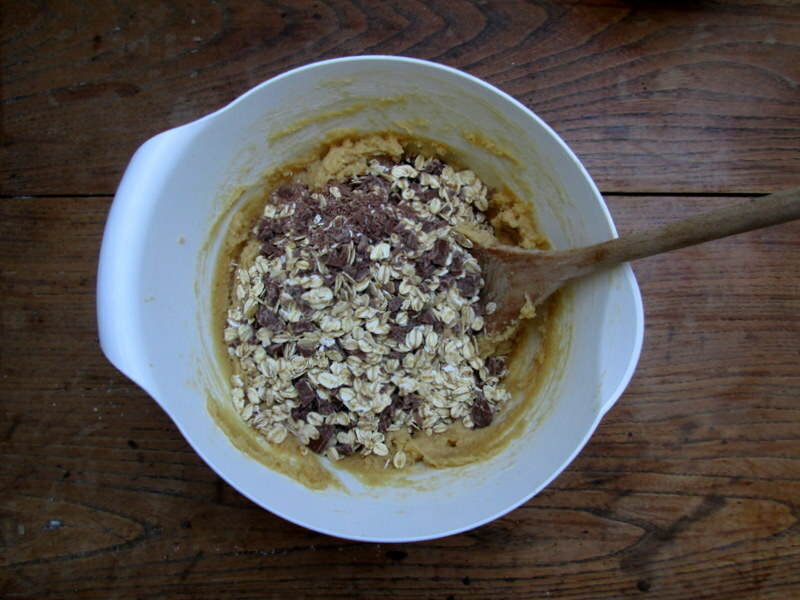 Mix the chopped chocolate and oats, then add to the dough and mix until combined. 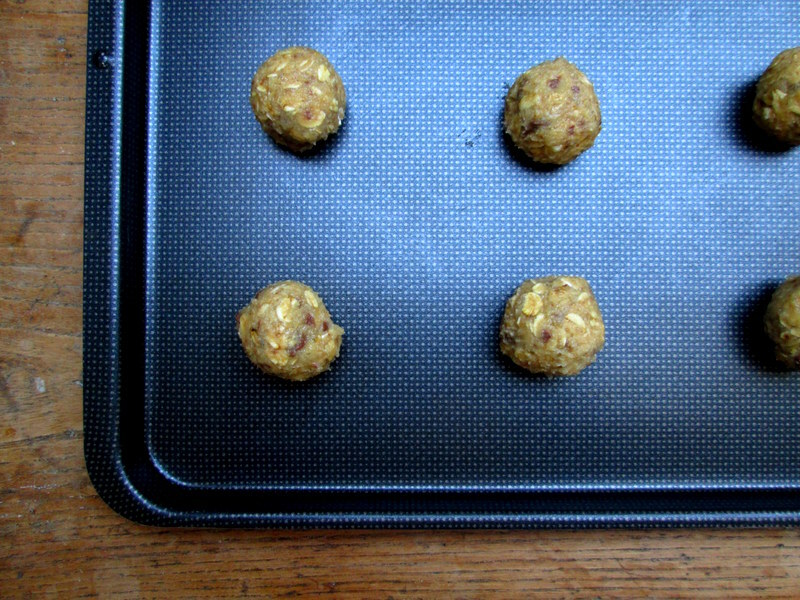 Roll into (shelled) walnut-sized balls of dough and distribute on a non-stick baking sheet (or cover a regular baking sheet with baking parchment), about 12 per sheet. Bake for 7-8 minutes, turning the baking sheet after 3-4 minutes. When the cookies have spread out and are just beginning to brown at the edges, about 6-7 minutes in, take the baking sheet out and give each cookie a light tap with a wooden spoon; return to the oven for a minute. When done, the cookies will be golden around the edges but still look slightly underdone in the middle. Leave to firm up for a minute or so on the baking sheet before transferring to a cooling rack. Wait about a minute, then eat a big bunch and feel slightly queasy for the rest of the day. Keep the cookies in an airtight tin; keep eating cookies throughout the day to test whether they’re still yummy, maintaining your cookie-nausea until all the cookies have disappeared. Makes for about 32-33 cookies (after you’ve eaten some of the raw dough).